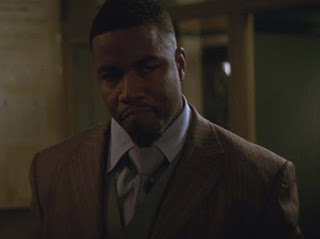 On the tenth anniversary of "The Dark Knight", actor Michael Jai White told The Hollywood Reporter he didn't know Gambol was killed until he watched the movie. Christopher Nolan's "The Dark Knight" is the darkest and most brilliant Batman movie ever made. It came out on July 18, 2008, in the US and, ten years later, is still the gold standard. 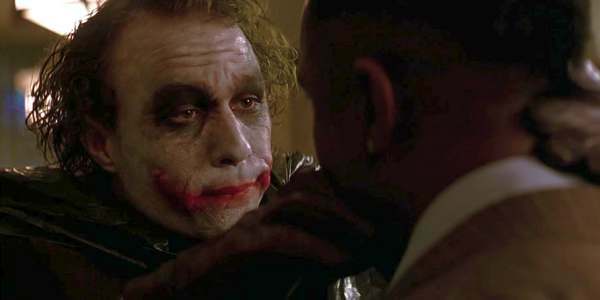 The most horrifying scene in the movie is when the Joker played by Heath Ledger tells the story of his facial scars and Gambol (Michael Jai White) ends up dying. The death is shocking. It even shocked the actor who said when he watched the premiere he "was as surprised as anybody. The next few moments after Gambol hit the ground, I was in a state of confusion, like 'What the h**l happened? I guess I am not coming back.'" The scene plays out like this. After the Joker breaks into a mob meeting Gambol puts a bounty ($1 million alive, $500,000 dead) on his head. Some thugs bring what looks like the body of the "Clown Prince of Crime" in only to have the Joker grab him and put a knife in his mouth. As the Joker tells the story of how his father cut his face the music swells and Ledger looks into the camera saying, "Why so serious?" before pulling the knife blade through Gambol's mouth. There's a musical sting, the thugs wince and White falls to the floor. He's never seen again in the film. But that wasn't supposed to be the end of White's life of crime. Or was it? It's been a topic of conversation for a decade. Did Gambol die? We assume so and the behind-the-scenes book confirms he died. But why did he die? Being slashed in the face isn't fatal. After all, the Joker is still alive from being slashed. I always assumed he died from a loss of blood but that takes a while. It doesn't make sense. What gives? "I think that people can tell by the strange cut that I never shot a death scene," White says. "The character wasn't supposed to be gone. That is something that happened in editing later." "It was the kind of thing where they had deeper intentions for Gambol; it was a character who was written for future use, I think," he says. "There were other plans to do stuff with that character and some things that were cut out. I think it's because of unfortunately losing Heath Ledger." White says that wasn't his last scene in the movie and filmed additional scenes with a horrific grin from the attack. So that answers one of the most perplexing unanswered questions from the film. White himself isn't bitter about being cut from the film. As a film-maker, he says he understood the decision to cut him from the movie saying "I have a producer's and director's mindset, so I was able to look at it and think, 'I guess they must have wanted to go this way.'" "I love Dark Knight," he says. "I love the fact that when superhero movies go dark, it is well appreciated because that really gets into the psyche of someone who would feel it necessary to fight crime. That is a dark idea. If that happened in reality, that comes from a very troubled place. So, psychologically, I think that is just great." The interview is great and shares some wonderful insights into the making of the film including how he and Heath Ledger would practice magic tricks with each other and the surprising sacrifice Ledger made for the film. What do you think about Gambol's death? What's your favorite part of "The Dark Knight"?